Teolinda Gersão - a story that leads readers down multiple paths, through myth and history, reality and fantasy, literature and the visual arts, the past and the present, male and female relations, the crisis of civilisation and the need to reimagine the world. Teolinda Gersão, City of Ulysses, Trans. by Jethro Soutar and Annie McDermott, Dalkey Archive Press, 2017. An elegant paean to love—and to “the least known of all European capital cities,” Lisbon. By Portuguese novelist Gersão’s account, speaking through her many-flawed hero, Paulo Vaz, “for millions of perfectly well-informed people across the globe, Portugal barely existed: at most, it was a narrow strip of land tacked onto the side of Spain.” She does much here to make the country and the city come into a life of specific detail: how the sunlight glints, how spring arrives to the soft green trees on the Avenida da Liberdade, how a crumpled-up T-shirt bearing the slogan “Lisbon is for lovers” looks when covered with “salt and boat oil.” Gersão’s central theme, though, is the impermanence of love. Though a sensitive artist, so sensitive that he bears his supportive mother’s last name and not his indifferent father’s, Paulo is a bit of a noodge: “Don’t expect too much from me, Cecília,” he says, in an internal monologue addressed to a long-departed lover. “I’m a free-spirit, or unreliable, if you prefer.” Cecília, African born, is a colonial come back to help remake Portugal after the fall of the dictators 40-odd years ago; also an artist, she is the always present object of the dejected Paulo’s obsession: “Having gone in search of Lisbon with you,” he laments, “I must now go in search of us, look at us. From very close quarters.” Like an unfunny refraction of Woody Allen’s Manhattan, with Paulo as Isaac, Gersão’s novel is a celebration of setting; the story, a touch tiresome owing to Paulo’s nonstop mope, gives way to the loveliness of place. The quiet echoes of moments from The Odyssey, as when Paulo casts Cecília in the role of Nausicaa, are just right, too. This is only the second novel by Gersâo, one of Portugal’s foremost novelists, to appear in English but then that is one of the themes of this novel – how little Portugal and Lisbon are known to the rest of Europe and the rest of the world. Unusually for Gersâo, the novel is narrated by a man, Paulo Vaz, a contemporary Portuguese artist. (His real name is Paulo Ramos but he uses his mother’s maiden name for his artistic work. The reasons for this are explained.) At the start of the book, he has been asked (along with other artists) by the Contemporary Art Museum to present a series of individual exhibitions based on their personal visions of Portugal. Vaz’s will be the first. In particular, they want him to take Lisbon as his theme or, more specifically, my impressions of certain aspects of Lisbon. Lisbon was probably the least known of all European capital cities, indeed one of the least known capitals anywhere in the world. While that is clearly not true, it is certainly less well-known than other major European capitals. As the intention is to take the exhibition on tour, he suspects that the aim is to put Portugal on the map but Ironic, really, in a country where culture has always been so chronically undervalued. He writes two letters, neither of which he sends. The first rejects the idea outright. The second explains in some detail why he will accept, namely because he has already worked on this project with a woman called Cecilia Branco, his now ex-lover. He tells Sara, his current lover, that he cannot really do it without Cecilia but, at the same time, they seem to have well and truly broken off relations. Again all is explained later. Teolinda Gersão, The Word Tree, Trans. by Margaret Jull Costa, Dedalus, Reprinted 2013. Teolinda Gersão paints an extraordinarily evocative picture of childhood in Africa and the stark contrast between warm, lush, ebullient Mozambique and the bleak, poor, priggish Portugal of Salazar. 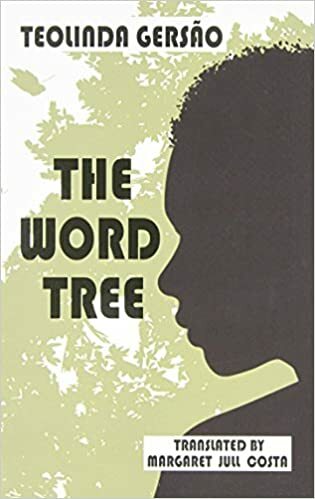 'Salazar's forty-year dictatorship in Portugal and that country's colonial wars in Africa cast their long shadow over Teolinda Gersao's The Word Tree. This is the first of Gersao's novels to be translated into English. As the Mozambican Laureano reflects,' the men crossing the sea from Lisbon didn't want that absurd war either'. Laureano's wife Amelia had come to the country from Portugal in search of a better life, but mentally never leaves her homeland, whereas her daughter Gita loves the country and grows up to resent the colonial presence. There are lush descriptions of the country, while the racial order is starkly spelt out: Amelia 'clings to the belief that fair-skinned people are the very top of the racial hierarchy, and that dark-skinned Portuguese people are almost at the bottom, just above the Indians and the blacks'. Adrain Tahourdin in The Times Literary Supplement Margaret Jull Costa's translation was awarded The Calouste Gulbenkian Portuguese Translation Prize for 2012. Before reading Teolinda Gersão’s vivid evocation of a girl’s coming-of-age in Africa, translated by Margaret Jull Costa, I knew little about the history of Mozambique, its Portuguese colonisers, the crushing poverty and its fight for independence. The daughter of Portuguese parents, Gita is growing up in the sprawling, chaotic port, Lourenço Marques, as the capital of Mozambique was known until 1976. For Gita, life revolves around her adoring father Laureano and black housekeeper Lóia. She is at pains to avoid her seamstress mother, Amélia, whose crushing sense of disappointment weighs heavily on them all. An unwilling immigrant, Amélia travelled from a rural village in Portugal to Africa in response to Laureano’s newspaper advertisement for a young bride. Her sense of wonder is in sharp contrast to Amélia’s relentless dissatisfaction. Not content with their modest wealth, especially when compared to those living in the shanty towns, Amélia craves the lifestyle of Mozambique’s rich with their servants, chauffeur-driven cars and expensive clothes. Gersão perfectly captures these two distinct voices — the tart despair of Amélia and youthful exuberance of Gita. This desire to possess what is so blatantly unnecessary in a country battling with poverty is heartbreaking. Inevitably, Amélia’s growing disillusionment and the decisions she takes taint her husband and daughter. Gersão’s achievement is to use the personal stories of one family to shed light on Mozambique’s troubled past and the immigrant experience in Africa.